Free eBook of Doris Lessing’s Nobel Lecture. In her lecture, On Not Winning the Nobel Prize, Lessing ponders the changing role of reading in modern society, which takes her back to Africa in the 1980s, where she witnesses a hunger and thirst for books in mudhuts, ill equipped schools and water queues. In contrast, Lessing worries about the fragmented nature of contemporary education but is thankful for the rich resource of literature and the eternal call for storytelling. Available as epub (Sony reader, iPhone etc) and pdf ebook formats. The Nobel Prize in Literature for 2010 was awarded to the Peruvian author Mario Vargas Llosa ‘for his cartography of structures of power and his trenchant images of the individual’s resistance, revolt, and defeat’. In his Nobel lecture, In Praise of Reading and Fiction, he describes reading and fiction as a parallel life where we can take refuge against adversity. The lecture is now published as a free eBook on the Route website, and an extract is featured below. At times I wondered whether writing was not a solipsistic luxury in countries like mine, where there were scant readers, so many people who were poor and illiterate, so much injustice, and where culture was a privilege of the few. These doubts, however, never stifled my calling, and I always kept writing even during those periods when earning a living absorbed most of my time. I believe I did the right thing, since if, for literature to flourish, it was first necessary for a society to achieve high culture, freedom, prosperity, and justice, it never would have existed. But thanks to literature, to the consciousness it shapes, the desires and longings it inspires, and our disenchantment with reality when we return from the journey to a beautiful fantasy, civilization is now less cruel than when storytellers began to humanize life with their fables. We would be worse than we are without the good books we have read, more conformist, not as restless, more submissive, and the critical spirit, the engine of progress, would not even exist. Like writing, reading is a protest against the insufficiencies of life. When we look in fiction for what is missing in life, we are saying, with no need to say it or even to know it, that life as it is does not satisfy our thirst for the absolute – the foundation of the human condition – and should be better. We invent fictions in order to live somehow the many lives we would like to lead when we barely have one at our disposal. Without fictions we would be less aware of the importance of freedom for life to be livable, the hell it turns into when it is trampled underfoot by a tyrant, an ideology, or a religion. Let those who doubt that literature not only submerges us in the dream of beauty and happiness but alerts us to every kind of oppression, ask themselves why all regimes determined to control the behavior of citizens from cradle to grave fear it so much they establish systems of censorship to repress it and keep so wary an eye on independent writers. They do this because they know the risk of allowing the imagination to wander free in books, know how seditious fictions become when the reader compares the freedom that makes them possible and is exercised in them with the obscurantism and fear lying in wait in the real world. Whether they want it or not, know it or not, when they invent stories the writers of tales propagate dissatisfaction, demonstrating that the world is badly made and the life of fantasy richer than the life of our daily routine. This fact, if it takes root in their sensibility and consciousness, makes citizens more difficult to manipulate, less willing to accept the lies of the interrogators and jailers who would like to make them believe that behind bars they lead more secure and better lives. Good literature erects bridges between different peoples, and by having us enjoy, suffer, or feel surprise, unites us beneath the languages, beliefs, habits, customs, and prejudices that separate us. When the great white whale buries Captain Ahab in the sea, the hearts of readers take fright in exactly the same way in Tokyo, Lima, or Timbuctu. When Emma Bovary swallows arsenic, Anna Karenina throws herself in front of the train, and Julien Sorel climbs to the scaffold, and when, in “El sur,” the urban doctor Juan Dahlmann walks out of that tavern on the pampa to face a thug’s knife, or we realize that all the residents of Comala, Pedro Páramo’s village, are dead, the shudder is the same in the reader who worships Buddha, Confucius, Christ, Allah, or is an agnostic, wears a jacket and tie, a jalaba, a kimono, or bombachas. Literature creates a fraternity within human diversity and eclipses the frontiers erected among men and women by ignorance, ideologies, religions, languages, and stupidity. This eBook is available as EPUB, PDF and Kindle formats. Click here for more information. We start the new decade with the man most likely to shape it. ‘Only very rarely has a person to the same extent as Obama captured the world’s attention and given its people hope for a better future.’ Barack Obama’s Nobel lecture in full sets out a course of action for the coming ten years. 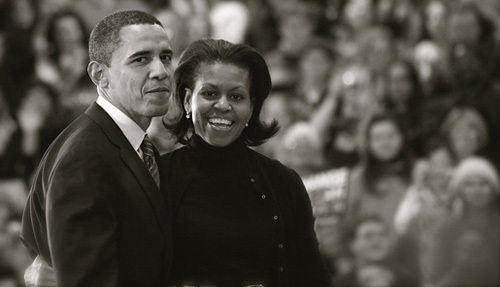 Barack Obama’s election as US President in 2008 was greeted with a euphoria unprecedented in recent times, not just from the people of his own country but from people all around the world. The investment of hope placed in him was cemented when in 2009 he was awarded the Nobel Peace Prize for his ‘extraordinary efforts to strengthen international diplomacy and cooperation between peoples’. Eleven months into his presidency, it would be natural if a man’s ideology had been softened by the realities of responsibility. In this Nobel lecture, Obama balances his responsibilities as commander-in-chief of the world’s sole superpower with his mandate for hope, reconciliation and human progress. Marking the end of a shameful first decade of this century, he draws carefully from his own personal and national history, and sets out a pragmatic manifesto of his global responsibilities and a outlines a promise of a new kind of leadership. Available as epub (Sony reader, iPhone etc) and pdf ebook formats, plus there’s a video of the full speech too. Click here to get a copy.